Gabriel’s Food + Wine began with the Italian tradition learned in his mother’s kitchen and his father culinary trips. With creativity, the restaurant has evolved by incorporating tastes from my travels around the world. Growing up my best moments were when my dad, Salvatore, used to take me to discover different restaurants around Italy. He always wanted to find a better culinary adventure. This passion led him to travel the world, researching for superior food ingredients to reflect his style, distinctive flavors, and exclusivity providing for his family and friends an outstanding culinary adventure. My passion is to visit the regions, meet the producers and to source the best quality ingredients to bring authentic Italian flavors to the American table. I believe that an excellent meal is a pleasurable way to enjoy life. Gabriele knows how to select and determine the most significant ingredients useful for his restaurant. 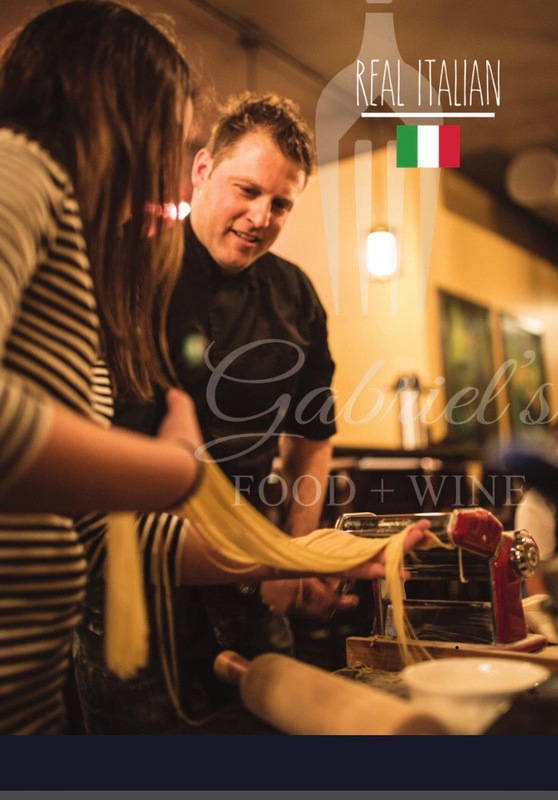 Gabriel’s Food + Wine began with the Italian tradition learned in his mother’s kitchen and his father culinary trips.